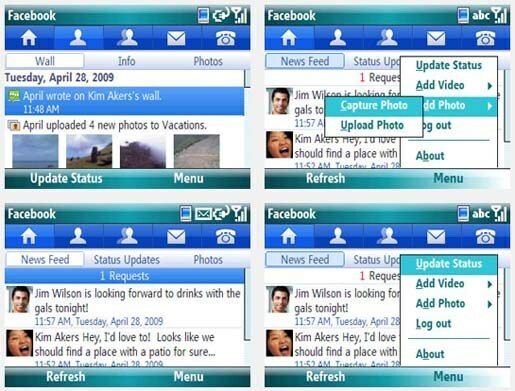 Microsoft Brings Facebook For Your Windows Mobile 6 phone ! •You can send messages to any of the people in yourgtalk-lets-you-find-the-friends-around-your-area/"> Friends list. •You can take pictures and videos on your phone and then you can upload them right to Facebook. •You can manage how-to-recover-the-deleted-images-from-digital-camera/">your profile and post anytime anywhere. This app lets you updated with Facebook on your phone. Now your status can be boost-up-your-download-speed-with-boost-machine/">updated in Facebook through your phone.